A professionally designed and maintained landscape enhances the appearance and value of your home. Successful landscape design is based on the strategic selection and placement of key elements including shade and ornamental trees, shrubs, flower beds, hardscaping, and design features. 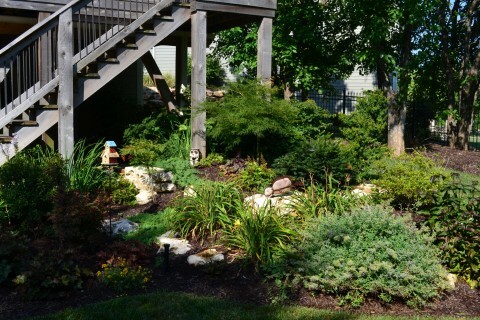 Our experienced, knowledgeable landscapers and designers will help you choose from a variety of plants which will thrive in various locations around your property based on our Kansas climate, as well as your individual sunlight and soil conditions. 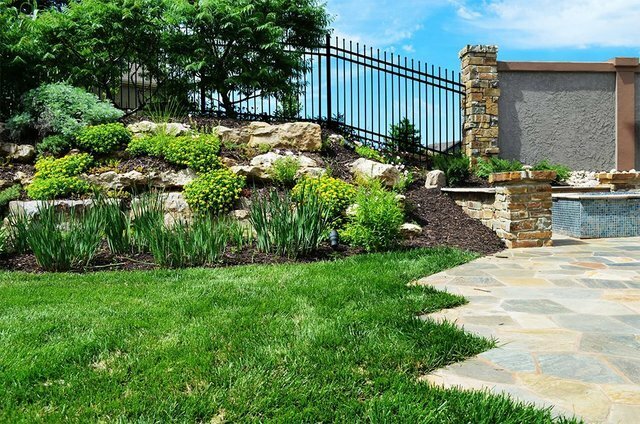 The team of professionals at Lawrence Landscape can help you achieve the look and feel you desire, thanks to our over 30 years of industry experience and dedication to excellence in quality and service. From consultation to completion our focus is on client satisfaction, working to create a sustainable design that will provide you with a lifetime of enjoyment—all within your budget. For landscaping services in Lawrence and the surrounding areas, contact us online today! In 2001, we determined that the only way to guarantee the quality and sustainability of the trees and shrubs we install was to grow them ourselves. Our 30+ acre tree farm is home to over 7,000 trees and shrubs in various stages of growth, all of which are suitable for the climate in this area. We harvest a selection of trees and shrubs during dormancy and store them in bins for ease of selection, and customers are also welcome visit the farm and tag their selections out in the field. For tree and shrub planting in Lawrence, contact us online! A professionally installed walkway can help provide definition and safe passage to various locations around your property. Our hardscaping experts can help you choose from a variety of designs and materials to help enhance the beauty and functionality of your outdoor space. Maximize your time spent outdoors and increase safety with high quality outdoor lighting services from Lawrence Landscape. We offer a wide selection of the finest outdoor lighting in the industry and provide expert lighting design, installation, and maintenance throughout Lawrence. A water feature can evoke a sense of peace and tranquility and serves as a great addition to any landscape design. Our low-maintenance options can be installed without the need for an open pool at the base, making them safer for pets and children. Enjoy your time with family and friends around a custom-built outdoor fireplace or firepit from Lawrence Landscape, made from natural or man-made stone or hardscape block. 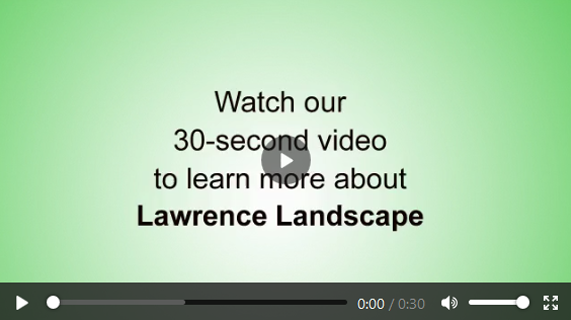 Lawrence Landscape is a full-service landscaping firm boasting 30 years of service in and around the Lawrence, Kansas area. Call us today at 785-843-4370, or contact us online to request a quote for landscaping services in Lawrence!